The Clayton Branch of the National Association of University Women Is Growing! 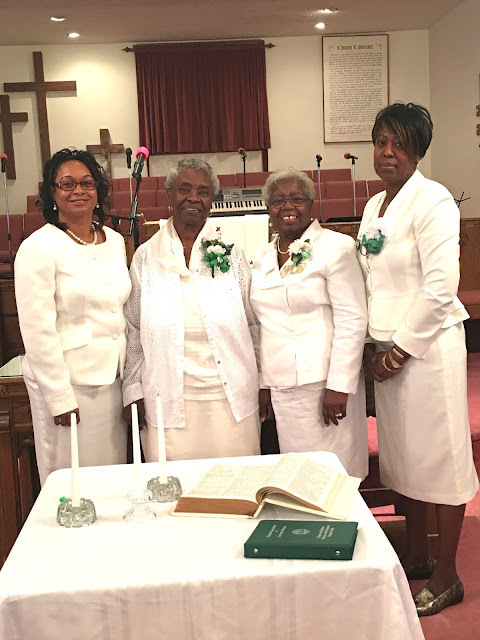 The Clayton Branch inducted their newest member Mrs. Blondell Myers on Saturday January 9, 2016. The induction ceremony was held in Clayton, NC at the Good Samaritan Missionary Baptist Church. Way to go Clayton Branch and welcome to our newest sister! Pictured: Letisa Vereen (National 2nd Vice President), Blondell Myers, Alice McClam (Southeast Sectional Director) and Juliene Allen (Clayton Branch President).